This is thanks to a seventeenth century Scandinavian man by the name of Jonas Bronck, originally from Tórshavn in the Faroe Islands. In 1639, Bronck immigrated to New Amsterdam in New Netherland, which was right next to what is today called Bronx River, named after Jonas Bronck. 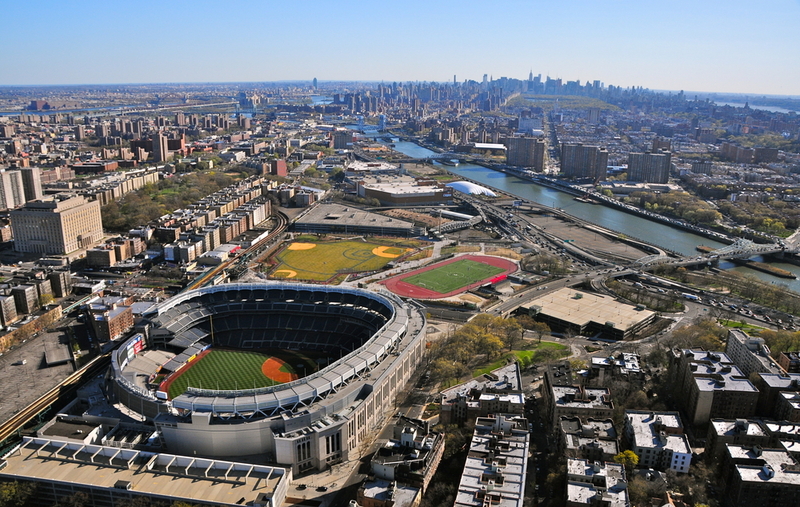 Despite the renaming of the land, the river next to it continued to be called “Bronck’s River.” From the river’s name, the modern-day name of “Bronx” got extended to the region directly around the river in the late nineteenth century. The name for the region has stuck ever since. As to why it’s “Bronx” instead of “Bronck’s,” this isn’t clear, but the switch happened around the same time there was a big push for the simplification of English; remnants of this can be seen today in the names of the Boston Red Sox and the Chicago White Sox (instead of “Socks”). It may be that the switch from “Bronck’s” to “Bronx” happened for the same reason, though this is just speculation, and I could find no direct documented evidence of this; so take it with a grain of salt. But the time period (the late nineteenth to early twentieth century) of the switch, at least, matches up. The word “ambulance” ultimately derives from the Latin “ambulare,” meaning “to walk.” This gave rise to the French “hôpital ambulant,” essentially meaning “mobile hospital.” In the beginning, this didn’t mean as we think of it today, but was generally just used to refer to a temporary medical structure that could be easily moved, particularly early on referring to movable army medical hospitals. 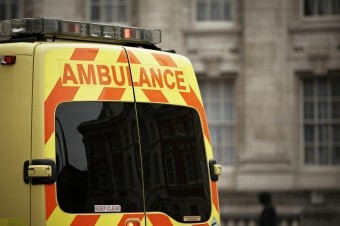 “Ambulance,” in English, first appeared around 1798, which also referred to these temporary hospital structures at first. Mobile medical transport vehicles were also being called ambulances in French around this time thanks to Frenchman Dominque-Jean Larrey and his “flying ambulance” (ambulance volantes). These ambulances were designed to get injured soldiers off the battlefield and to medical aid during battle, rather than waiting until the fight was over as was common before. By the mid-nineteenth century, the word (in English) extended to refer to any vehicle used to transport the wounded from battle fields to the military hospitals. One of the first instances of this was during the Crimean War (1853-1856). Shortly thereafter, during the American Civil War, such medical transport vehicles were known as “ambulance wagons.” The former, “ambulance,” name for mobile medical vehicles has stuck around ever since. About half a century after mobile medical transport vehicles were first referred to as ambulances in English, the phrase “ambulance chaser” popped up, referring to a certain type of lawyer (first attested around 1897). you missed point of question – why is the article “the” used in THE BRONX, not just BRONX. 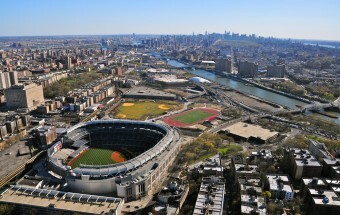 In re the article, How The Bronx Got Its Name, the correct terminology is: “The Bronx”. I checked a Hagstrom Street Guide. Only in recent times has “The” been omitted. I was born and raised in The Bronx. Its the only terminology used to describe that area, that I ever heard. What seemed odd to me, was that my favorite place to explore was called ‘Bronx Park’ minus “The”. My favorite Junior High School teacher, Mrs. Rosenberg, explained that The Bronx was not a part of NYC until the late 1800’s, when Albany annexed it to NYC, to weaken the Democrats control of NYC. People would go to visit ‘The Broncks’. Mrs. Rosenberg was quite old, and would would dazzle us by fondly recalling moments of her childhood. She remembered when Fordham Road was a goat trail. And when Fordham University, taught by very strict Jesuits, owned most of the land surrounding Fordham Road, which was taken over by homesteaders and dishonest politicians. Fordham road at the time was an upscale shopping area, and a very wide thoroughfare. I am 79 now and must have been 12 or 13 years old then. Morrissania is the section in The Bronx re-named by Morris.